After the article published on 30 October in the New Yorker magazine about the Sackler family and their pharmaceutical business, we have woken up to discover that the money behind many hosanna-ed art-world projects of the past few decades, from the beautiful new courtyard of London’s Victoria and Albert Museum to modest but intellectually vital activities such as the Research Forum at the Courtauld Institute, is utterly tainted. There is nowhere for the munificent Sacklers to hide; most of them sit on the board of their privately held pharmaceutical business, Purdue Pharma, which is behind the tragic opioid addiction epidemic in the US. The company has allegedly suppressed information about the addictive properties of its painkiller Oxycontin, promoted its sales by corrupting doctors, silenced its victims by paying them off and lobbied federal government not to intervene—and now that the US is wising up, it is spreading its poison abroad, in the UK, South America, the Middle East and Asia, through its related company Mundipharma. This is where we ask ourselves how much the cultural projects they have sponsored weigh when put in the scales against the misery Oxycontin has caused. It is no good arguing that many famous patrons of culture have been morally dubious. Yes, the much-loved Frick Collection in New York is the gift of a man who ordered his security guards to shoot on strikers; Brown University in Rhode Island was founded by a man who made his money in the slave trade; the Rhodes scholarships bear the name of an imperialist. But that was in the past, and despite the fashion for revisionism today, the fact remains that the past is another country. 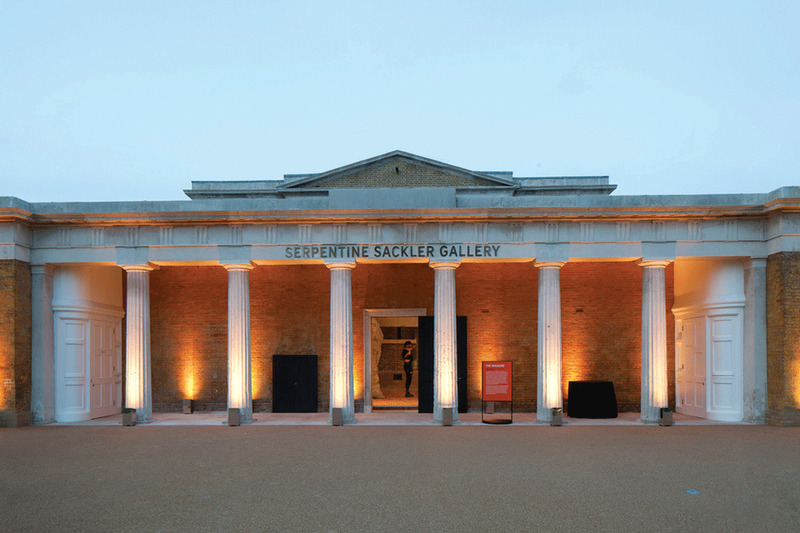 This is now: so, what to do about the Sackler donations, past, present and potentially future? Our questionnaire for museums on both sides of the Atlantic that have benefited from the family’s money has elicited a lot of “no comments” or flannel. One can imagine a flurry of legal consultations going on, but many contracts contain clauses stipulating for how long an institution’s wing, gallery, library or whatever must bear the name of the donor, so the option of renaming them probably does not exist. In any case, the practice of changing the names of streets, squares and towns as history revolves and individuals rise and fall in repute is not common in either the US or the UK, so maybe—just maybe—we can let them be. But ongoing or future donations are quite another matter. It is hard to see how an institution vowed to the higher good, such as a museum or university, can accept money from this source again, especially as the family has apparently not devoted a cent to addiction treatment centres and their firm is entirely unrepentant. What this discovery does is to make us ask whether, in our mania for greater and grander museum expansions, faster and faster programmes of exhibitions, more and more Vanity Fair-like events, we are not becoming dependent on luring the money-changers into the temple. Is culture—a word we have almost worn out by invoking it to raise sponsorship—really being served? One famous donor, a lifelong collector and former trustee of the Museum of Modern Art in New York, seems to have asked herself the same question. This year, Agnes Gund sold a Roy Lichtenstein to support the Art for Justice Fund, dedicated to relieving mass incarceration in the US, one of the country’s most shameful aspects. John Ruskin, who lived for art, came to the same conclusion: you cannot rejoice in art when the misery of your fellow man is so apparent. We cannot accept any more Sackler money for the same reason. • Business as usual for museums funded by Sackler opioid money?